THE BEAST!!! 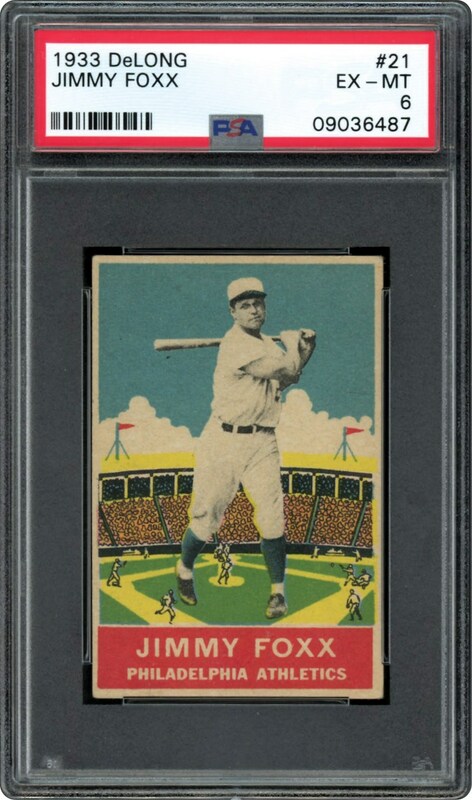 It is with little surprise that his awestruck peers called him "The Beast", and save Ruth, Gehrig and DiMaggio, his 1930's cards are widely recognized as the most desirable and valuable cardboard mementos from that decade. 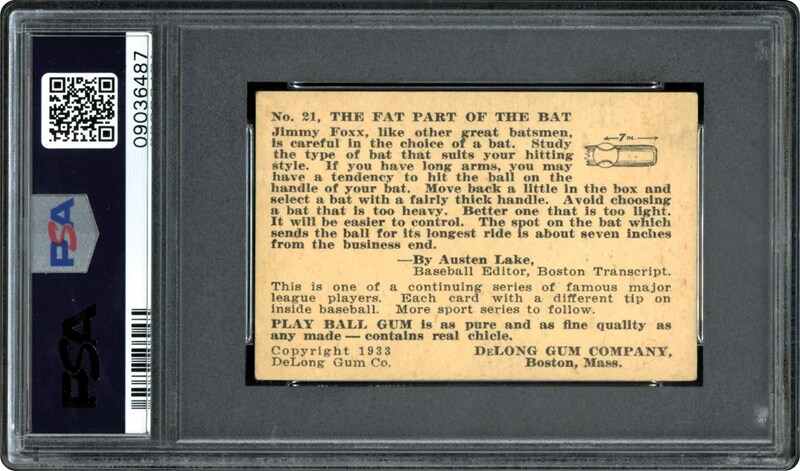 This PSA 6 offering is one of best cards in the hobby. His classic swinging pose is gorgeous, providing a combination of sheer perfection with regard to its superior contrast and rich red, green, yellow and blue hues. The imposing swinging pose reflects a strong PSA 6 example.